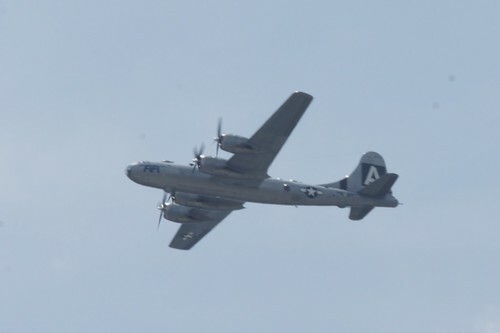 It’s not everyday you get to see a 1940s B-29 Superfortress named “FIFI” fly right over DC’s National Mall; one of many historic planes to join in the World War II Flyover last week. 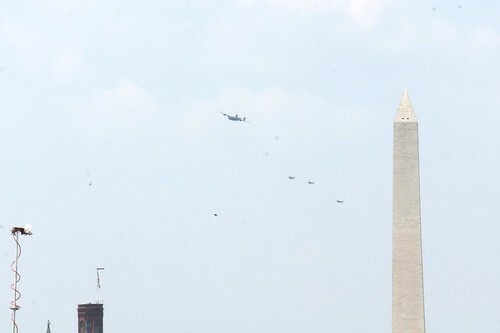 I was working at NASA HQ in SW DC at the time so I walked outside with thousands of others to the Capitol over lunch break to witness the event. 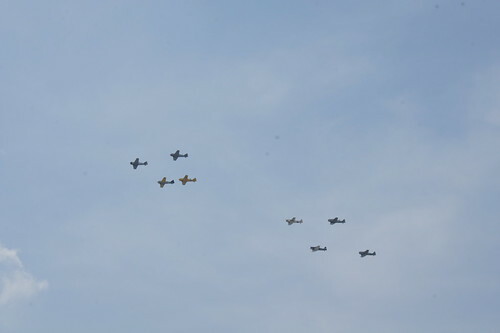 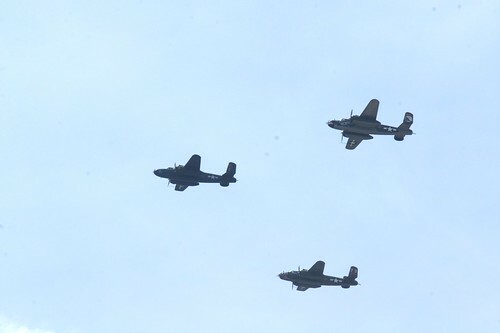 It was an amazing sight: wave after wave of historic planes flying in formation for an hour, Mustangs, Corsairs, Hellcats, B-25 Mitchells such as those that flew the Doolittle raids, and yes, FIFI. 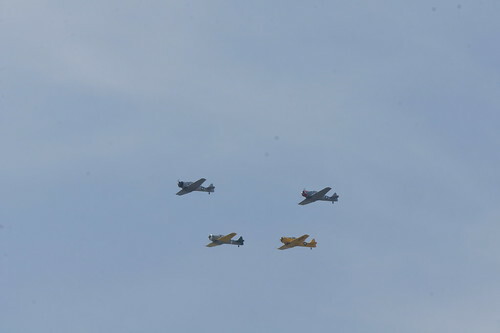 I also got some video but it wasn’t great. 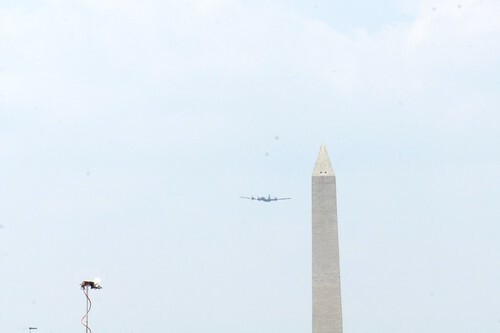 My Full WW2 Flyover photo album here, and also see Samer Farha’s photos from Rosslyn, and Djenno Bacvic’s composite of all the planes in the flyover.